“The thing about racing mowers is: It’s an odd sport,” admits Joe Hopkins. He’s sitting on top of a big bucket of paint in the backroom of a repair shop on the outskirts of Liberty Hill with six half-assembled mowers laid out behind him. Joe Hopkins, 37, repairs lawn mowers for work and races them for fun. By day, Hopkins, 37, spends his time fixing up mowers and outdoor appliances of all types at the A-Line Auto Parts in Liberty Hill. 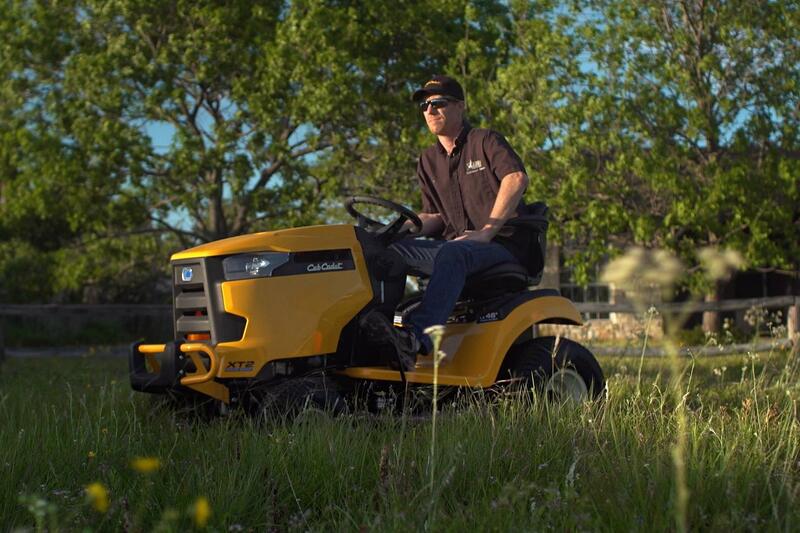 But when the work day ends, he shifts gears from upkeeping to upgrading – souping up his own mower, a bright yellow Cub Cadet that he says can reach speeds of up to 60 miles an hour around the track. A member of the 19-year-old Lone Star Mower Racing Association, Hopkins is one of three dozen or so lawn-mower racing enthusiasts scattered throughout the state who meet up every couple of weeks to run laps around a dirt track “for nothing but bragging rights and a shot at a $5 trophy,” he says. The Circuit of the Americas racetrack has raised Austin's profile as an international destination for top-tier racing. This story is not about that kind of racing.